Every commercial and public building in the country is fitted with an exit device. An exit device – known also as a panic, push and crash bar – allows people to exit the building quickly during emergencies, such as a fire. 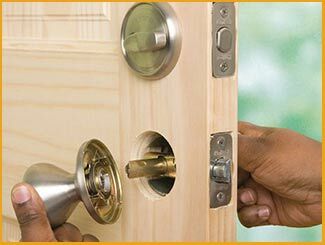 If you want a new exit device for your building in Cleveland, OH area, Cleveland Locksmith Services provides a panic bar fresh installation service at an affordable price. We have many types of push bars in our inventory that you can pick from. Call us now on 216-606-9011 !